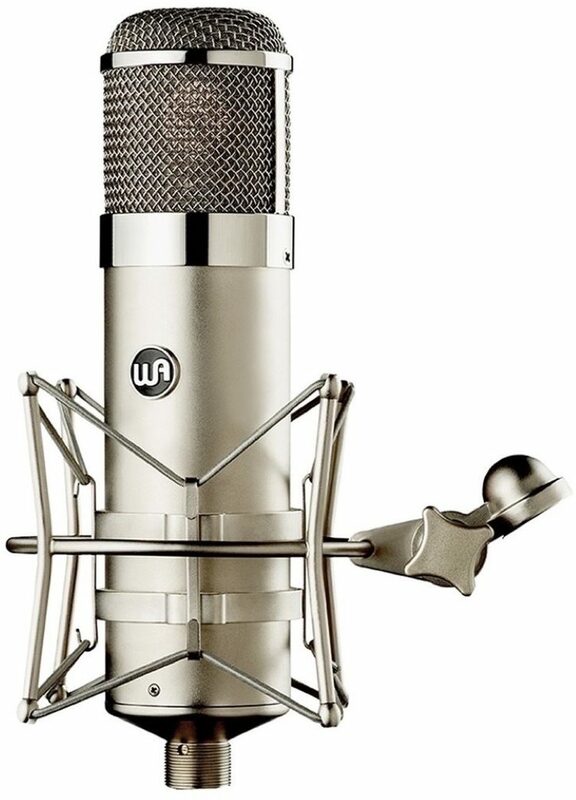 The Warm Audio WA-47 is an all vacuum tube, large diaphragm, transformer balanced, multi-pattern (9), large condenser microphone, based on the classic '47 that has been used on countless hit records for the last 50+ years. The WA-47 is designed for pro studio, home studio, live, and broadcast applications and sounds great on vocals, acoustic/electric guitars, acoustic/electric bass, drums, piano, strings, brass/woodwind instruments, and an array of other sources. The classic '47 became extremely popular in the 1960's and is now considered one of the greatest microphones ever made. The classic '47 is still widely used today in professional recording studios but have become extremely rare and expensive to acquire. As with all Warm Audio products, a focus on quality components ensures the best sounding product possible. The WA-47 is packed with top end components that are carefully sourced from many of the top pro audio component suppliers in the world. The WA-47 utilizes a custom reproduction of the vintage k47 style capsule that was used in the classic '47 microphone - designed with the same hole pattern and frequency response. Every Warm Audio capsule is made in the same small assembly house in a clean-room environment, and packaged in its own protective jewel case until the moment it is loaded into the microphone. Each capsule is visually inspected and electrically tested for imperfections. A large part of any microphone's tone comes from its capsule, and the true k47 style capsule used in the WA-47 is not easily manufactured or typically found in affordable condenser microphones. The WA-47 utilizes a custom reproduction of the vintage k47 style capsule that was used in the classic '47 microphone - designed with the same hole pattern and frequency response. The Warm Audio version of this capsule (model# WA-47-B-80v) is carefully manufactured by an Australian capsule manufacturer whose precision and repeatability allows Warm Audio to nail the vintage sonics of the most important sonic piece of this classic style of microphone. A Slovak Republic JJ 5751 vacuum tube is a lower gain, low noise tube that forces much of the sonics of the capsule and transformer to be heard more significantly than some higher gain tubes might allow. The frequency response of the JJ 5751 and the way it contributes to the circuit is tonally smooth and vintage in nature. One component of a tube microphone often overlooked is the 7 pin cable that connects the microphone to its power supply. When auditioning the WA-47 and other tube microphones Warm Audio learned quite a bit about 7 pin cables and how the shielding and wire gauge size can drastically change the sonics of a tube microphone. Warm Audio has partnered with Gotham Audio in Switzerland to use their very carefully built top-end 7 pin GAC-7 cable. Using this cable increases top end presence and the overall size of the recorded image in the stereo field, by reducing phase shift and the parasitic effect often found in poorly built cables. Gotham Audio is very expensive and boutique in nature and should not be considered a small addition to the WA-47 package. Overall: Tracked my first demo vocal session with this microphone, and I really am impressed. I don't own a real U-47 and I honestly don't care how close this gets to that sound; all I care about is whether this mic sounds A) Good and B) different from my other microphones. A) It really does sound good. I haven't had time to try it out on a big variety of sources yet, but on a male vocalist who, on many mics, has a somewhat shrill, ice-pickey thing going on with his voice, this worked wonders. I actually ended up adding a 2dB shelf around 12KHz, and that was the only EQ the vocal needed. 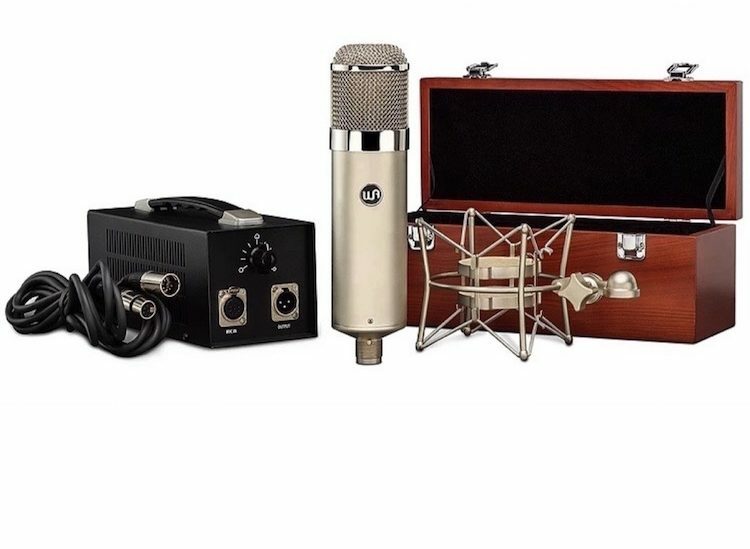 B) I guess I kind of addressed this point already in the A-portion of my review, but I'll reiterate: while I can't tell you if it sounds exactly like a stupifyingly expensive vintage Neumann, I can tell you that it doesn't sound like anything else in my (as of now, very modest) mic locker. I don't own any other tube mics, so it's possible I could have gotten similar results with the Rode NTK or K2 and saved some money. But I did like Warm Audio's reputation for quality, and maybe if it turns out their recreation of the old Neumann U47 IS spot-on accurate, maybe... just maybe... it will make me sound like Frank Sinatra. ¯\_(ツ)_/¯ One last note on my first impressions of build quality: This microphone is heavy (which obviously doesn't on its own necessarily speak to quality, but it does evoke something of a premium-ness in the overall presentation). It feels like it's well-built. Only time will tell if it's as solid inside as it is outside, but I'm relatively confident that, if taken care of, this microphone will outlive my particular breed of sound-nerd (you know who you are, with your closet full of black T-Shirts and your social awkwardness and your daily diet of Taco Bell and Mountain Dew). The microphone's wooden storage box is a nice touch, though I do really wish Warm would have included a storage solution for the whole ensemble. A little wooden box looks lovely on the mic shelf, but a case that could hold the power supply and shockmount and the fancy Gotham Audio cable would be even better. I (and I believe most potential buyers) would be willing to pay an extra $100 AND forgo the wooden box for an all-inclusive case of some sort. For now, guess I'll store everything in the cardboard box it all came in, though I have a feeling this mic is going to spend most of its time on a stand.